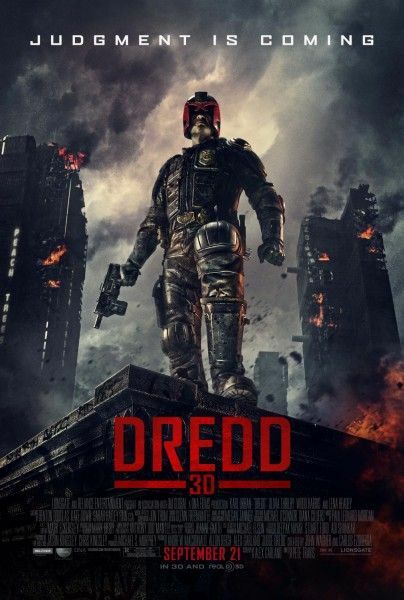 Lionsgate has released a new 60-second TV spot for Dredd 3D, a new adaptation of the Judge Dredd comics. The TV-spot basically plays like an abbreviated trailer, and since it’s not red-band, it can’t show one of the film’s distinctive features, which is the hard-R gore. There are some brutal kills in Dredd, and I suppose it’s a good thing that they haven’t been spoiled. The studio has also released a new featurette high-lighting the drug “Slo-Mo” which is taking over Mega City One. The drug makes the user feel like everything is moving at 1% its normal speed, and it’s neat to see the visuals play at 4000-frames per second. I’m particularly grateful that director Pete Travis didn’t overuse the effect. Hit the jump to check out the TV spot and the featurette. The film will play at the Toronto International Film Festival and Fantastic Fest before opening nationwide on September 21st. You can click here to read my review.